Immerse yourself in the rich experience of building a highly detailed model plane kit. Experience a fabulous reproduction of the Supermarine Spitfire Mk Vb in 1:12 scale, the most famous fighter plane of World War II. 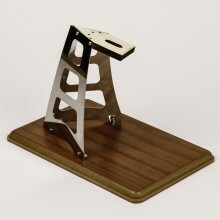 This detailed model is constructed from high-quality aluminum and wooden parts. Build The Spitfire will delight every model aircraft enthusiast, from the beginner to the expert alike. Order your Spitfire full kit online today and receive everything in one shipment. Comes complete with a fascinating magazine giving you the Spitfire story and your detailed Assembly Guide. Build your own Fokker Dr.I Red Baron triplane in incredible 1:16 scale. Together with ModelSpace, Artesanía Latina presents the most accurate replica of the legendary WWI fighter aircraft. The kit includes high-quality model parts, step-by-step DVD instructions, high quality decals, a full colour poster and an acrylic base to showcase the ready built model. 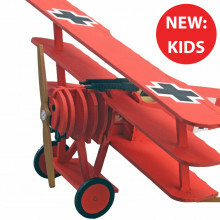 Build and decorate your own model of the Red Baron plane. Together with ModelSpace, Artesania Latina presents a simple scale model for kids that can be painted and customised individually by each junior modeller. Ever since mankind discovered flight, planes have held a unique attraction and appeal. Their stylish designs conjure up images of freedom, possibility and adventure - so why not bring this excitement into your home with a model plane from our extensive range of plane model kits? 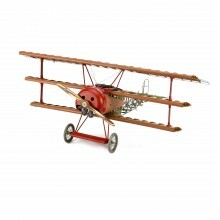 At ModelSpace, we offer a great range of model planes covering every era of aviation. Bring history home with your very own military model plane. 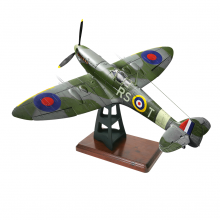 With our selection of military model plane kits you can choose from some of the classics such as the famed Spitfire – the most celebrated plane of World War II. 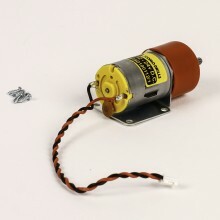 This adored model plane is made from aluminium and wooden parts with functioning signal lights and landing gear lights. 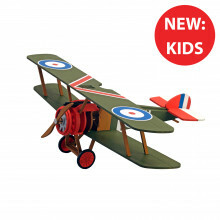 If you are a fan of military planes you can also build your very own Sopwith Camel – a perfect build for junior modelers. This plane was the first British World War single-seat fighter plane, built in 1917. 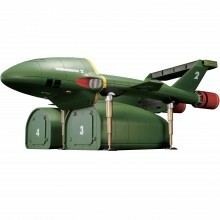 This iconic plane is fantastic for kids or those taking part in their first build. One of the greatest parts of model building is the knowledge you gain about your chosen project. With model planes, you can learn all about aviation and its incredible history. 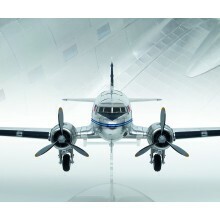 One of the most iconic aircrafts in aviation is the Douglas DC-3 which took to the skies for the first time in 1935. This plane flew further distances and faster speeds than any other aircraft of its time. 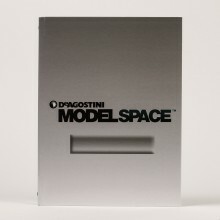 As well as model planes, you can also choose from a big selection of cars, sailing boats and model tanks at ModelSpace. Build your own model F1 car or assemble a wooden ship to sit next to your collection of model planes. 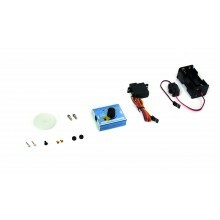 Why not test your modeling abilities with our variety of vehicles and design styles that even include remote control cars.